Founded by Winnie Christiansen and Maren Demant, Transceiving Reality X [TRX] merges Immersive Theatre and multisensory Virtual Reality for their project 'Empfaenger Verzogen". It aims to explore the interplay of virtual and physical environments to develop a format for Story-living that is driven by technology, personal interaction and sensory perception. 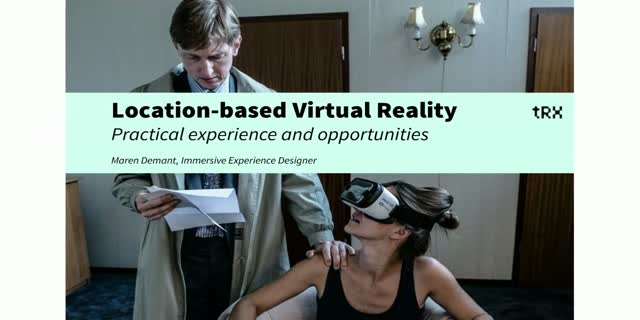 This presentation gives insights into what they've learned so far from the project and an outlook for use cases and opportunities of locationbased perceptible VR experiences.